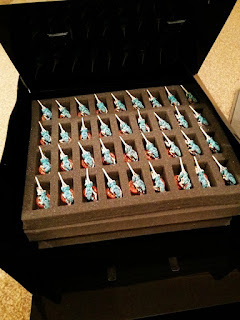 Confessions of a 40k addict: Gifts for Geeks - Tabletop Tyrant Squire plastic figure case winning! 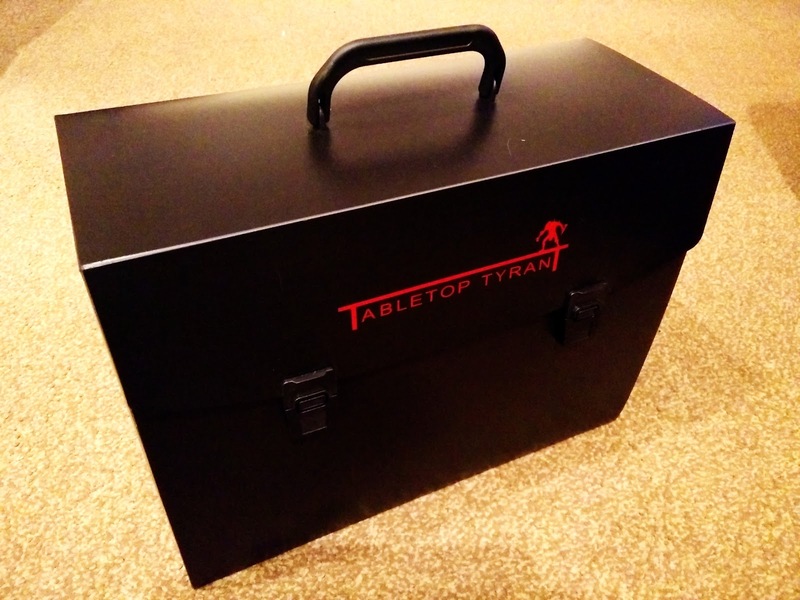 Gifts for Geeks - Tabletop Tyrant Squire plastic figure case winning! 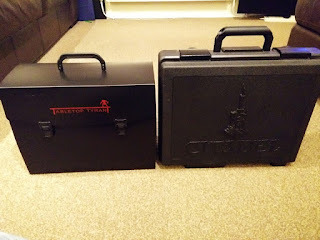 About a month ago Gifts for Geeks ran a competition on their Facebook page to win one of their Tyrant Army cases. It was essentially 'give us a reason why you should get one'. Obviously I've begun to rationalise how I transport my figures but I'm still moving a lot round in takeaway tubs and cardboard boxes. That's convenient for certain awkward shaped models but there are still plenty of rank and file troops that could do with a better home. So I entered and won a runner up prize of one of their Squire cases. 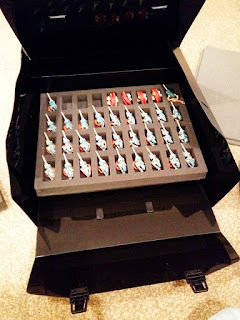 These things [including foam] retail at £19.99 so it was a really pleasant surprise when it arrived. And it came with a free custom Tabletop Tyrant dice too. The case is made from plastic, it's the flexible sort often used in some ring binders. This is clearly not a case designed to protect against the rigours of war in the 41st millenium but it will hold your foam and figures safely for storage or if you only need to nip to a local gaming club or your mates. 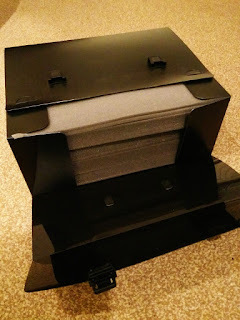 Saying that, the extra foam covers make the interior quite a solid mass so there is little flexibility when it's shut, although I wouldn't stand on it. 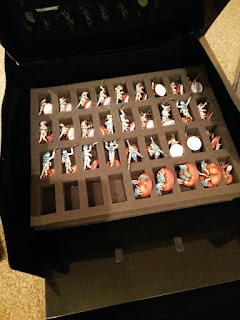 As you would expect the trays are suitable for your average troop model, no real surprises and four stack on top of each other. These are nearly exactly the same as the old Citadel ones so are easily transferable between cases should you feel the need, it's handy for me as I can use this for storage and the Citadel case for transport. I noticed only one criticism of the foam, the adhesive between the base and tray isn't as strong as I'd like. It doesn't take a lot of effort to separate the two pieces but no doubt if it's left alone they will remain intact for as long as I need them. I'm pretty sure they're actually the cheapest tray out there at £4.50 so they're worth a punt on their own. And it takes up less space than the Citadel case too. 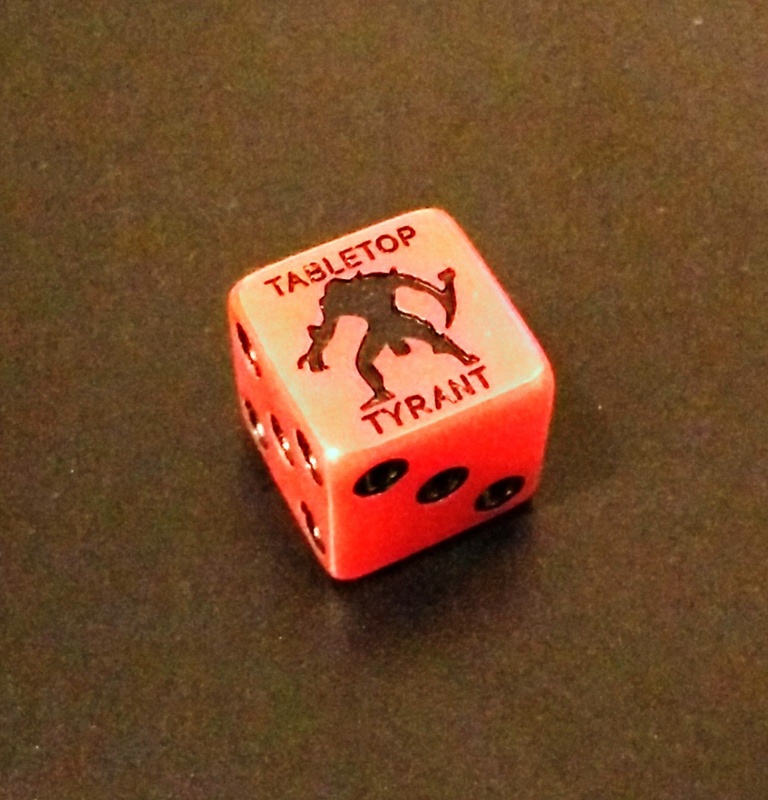 Bottom line, if you need to protect your figures and are cash-strapped then this is an ideal solution. 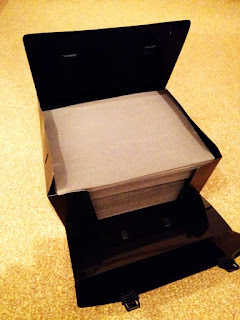 Alternatively there's the KR Multicase that they do for a little more at £22. 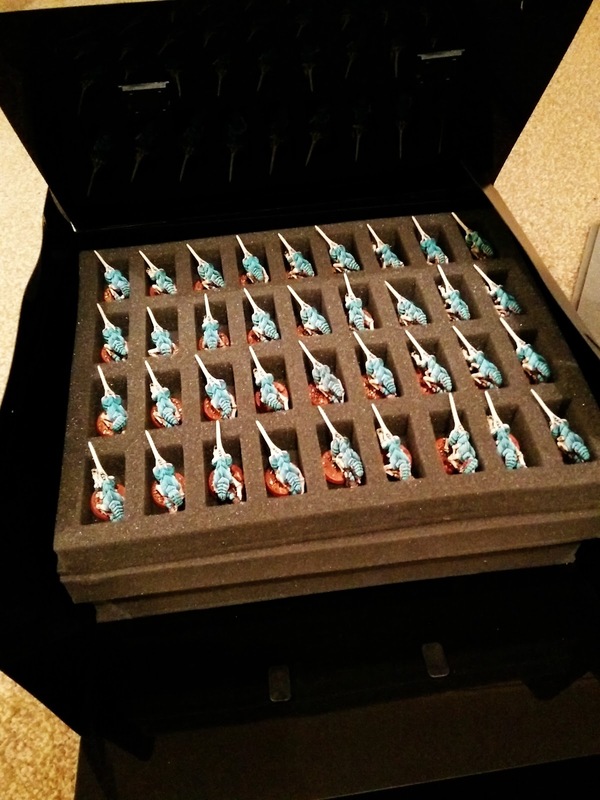 PeteB swears by these and you can get another 16 models in a case so that balances out the extra cost. I'm definitely chuffed with it, now I just need to paint more miniatures to go inside! Nice prize. Their store in Leicester is pretty decent too.